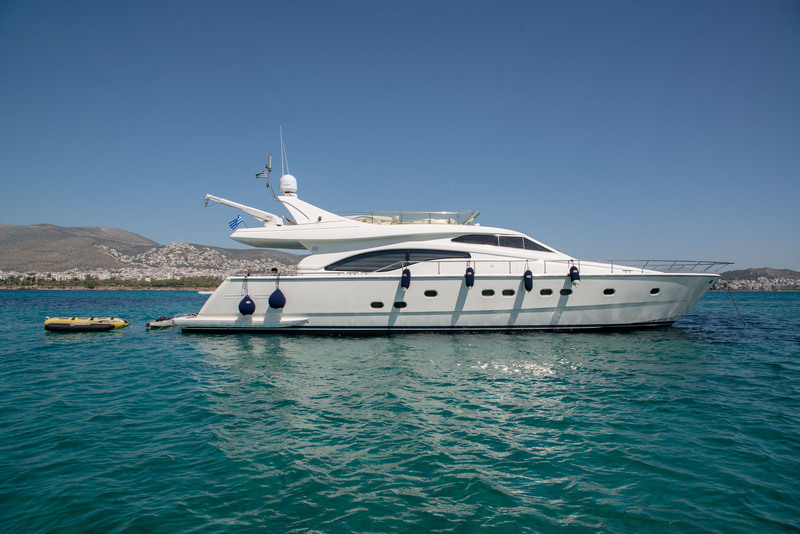 Motor yacht ANANAS was delivered by Ferretti in 2002 and received a refit in 2015. 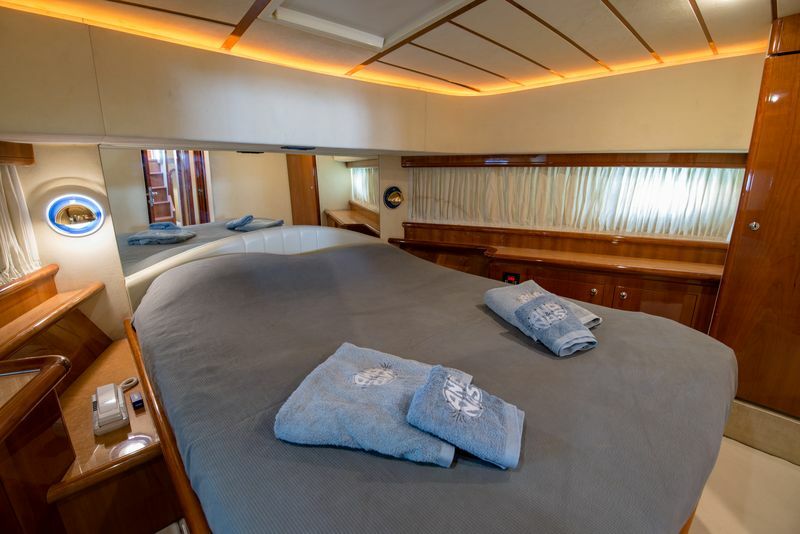 She is 21,2m (69,7ft) overall and can accommodate 8 charter guests, in 4 cabins. 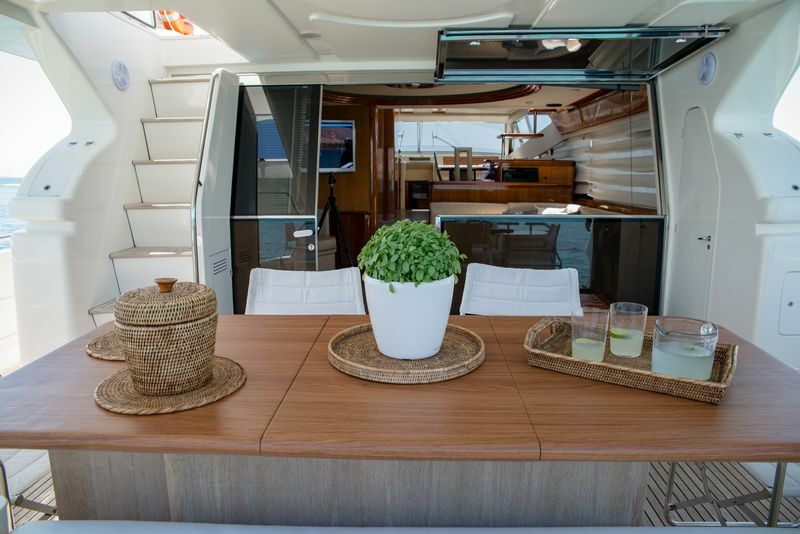 Her interior styling is timeless with warm woods and pale panels, paired with neutral furnishings, creating a relaxing ambiance. 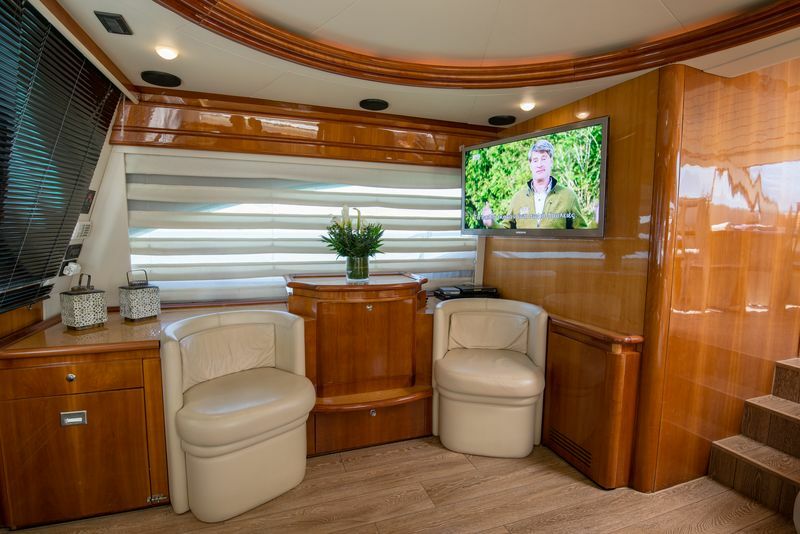 A spacious salon offers a U shaped sofa, coffee table, seating and entertainment systems. 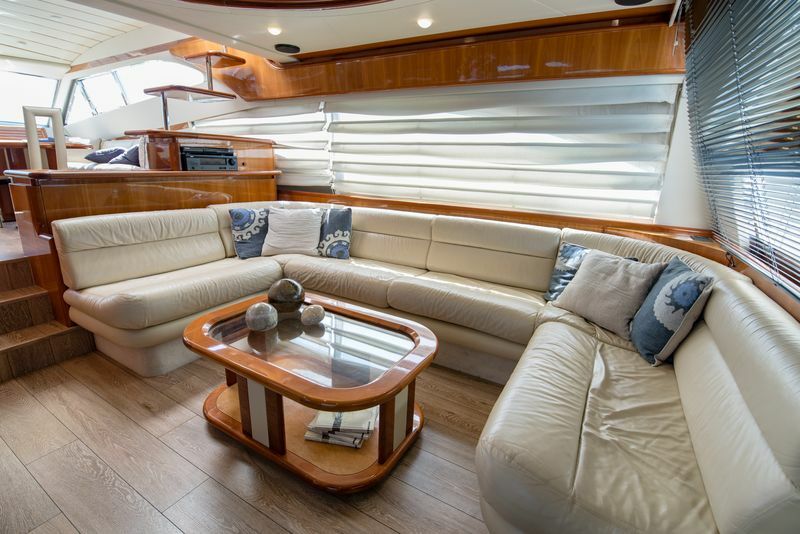 Forward of this and jus aft of the interior helm, is the formal dining table. 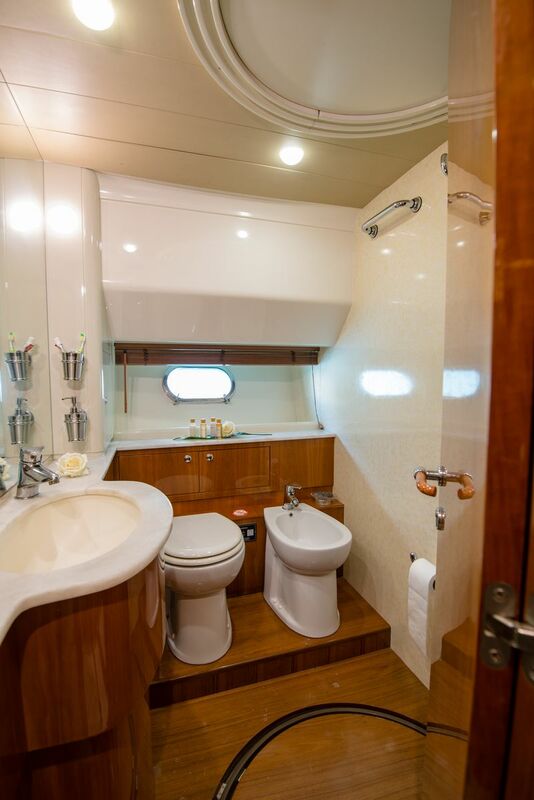 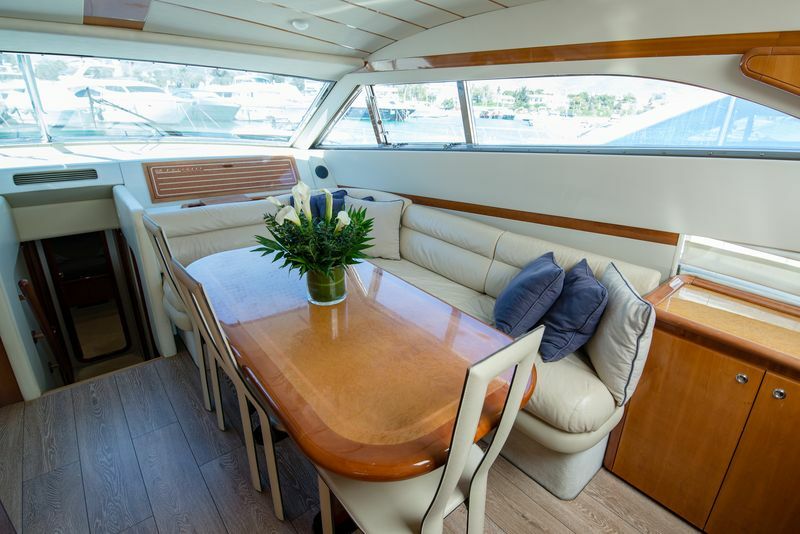 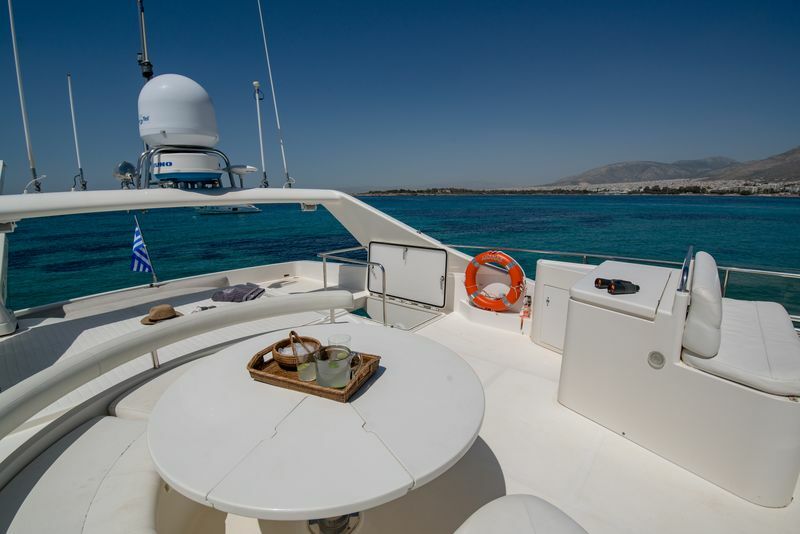 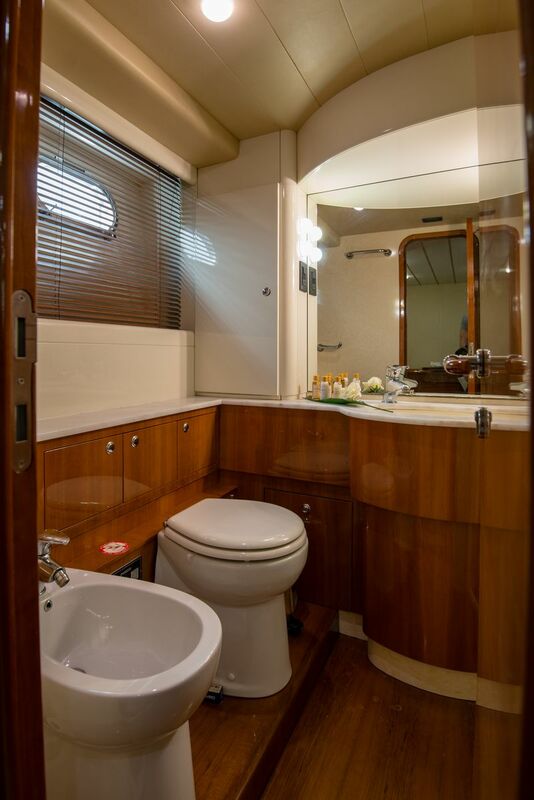 The space is light an airy with surrounding windows and direct access to the large aft deck. 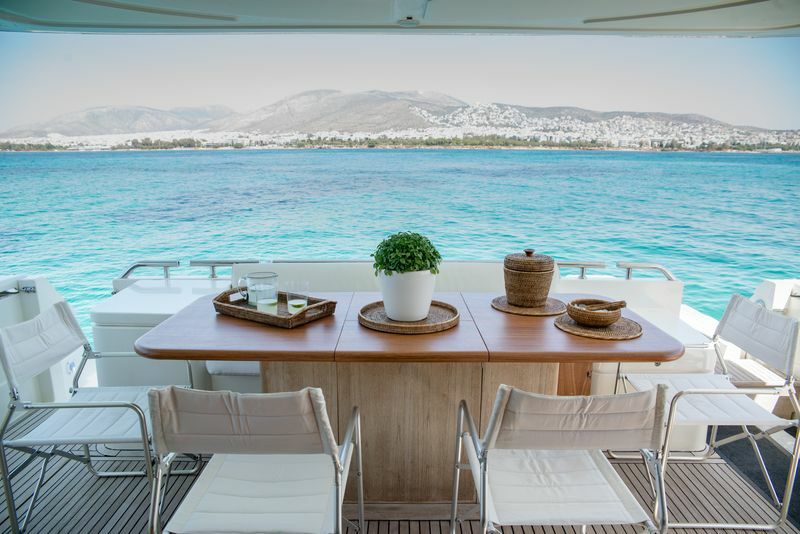 The Ferretti yacht ANANAS has generous exterior living, laid over 2 levels, this includes a shaded aft deck with alfresco dining, a raised sun pad on the bow, as well as a well-appointed sundeck, complete with dining, sunning and seating. 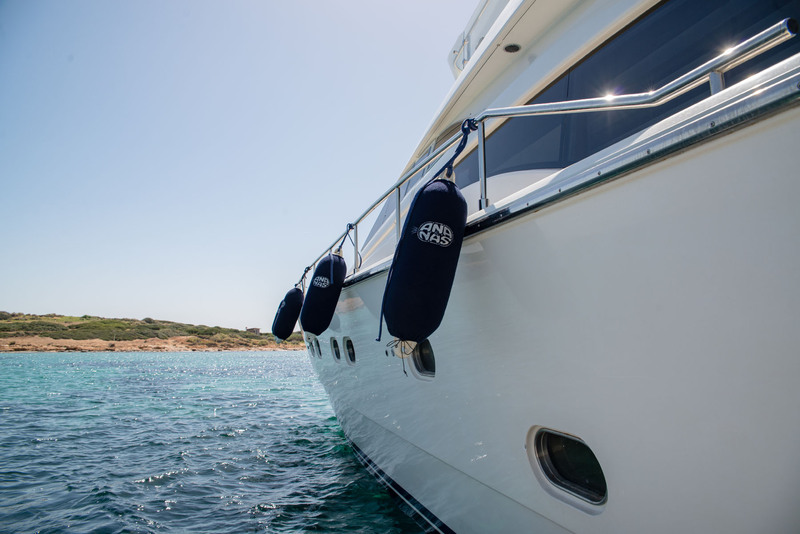 The yachts water toys are easily deployed from her extended swim platform on the transom. 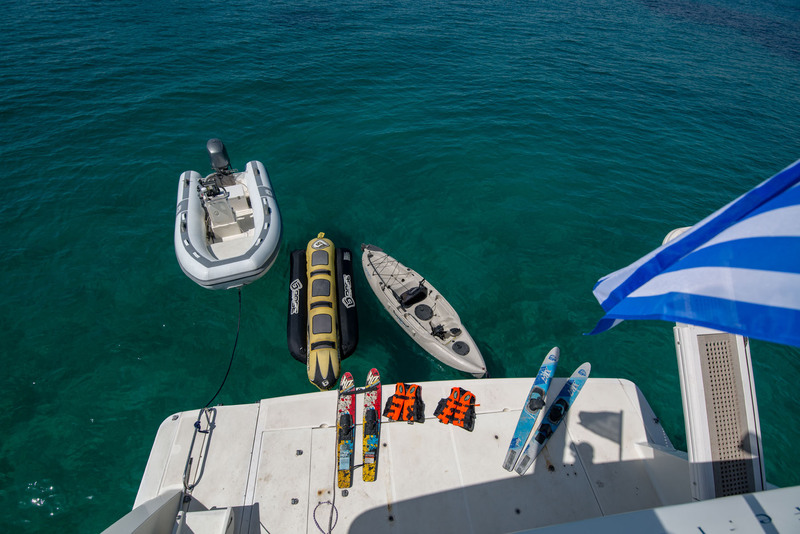 Twin MAN 1200hp engines provide speeds of 25 - 30 knots. 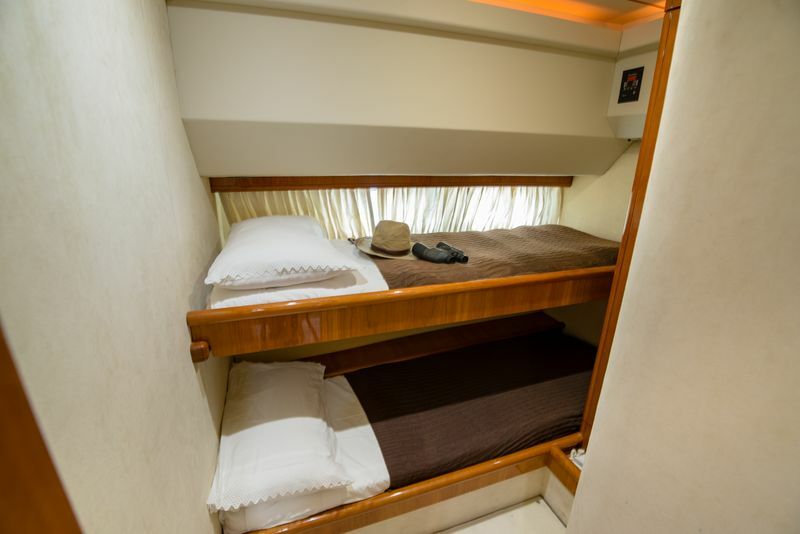 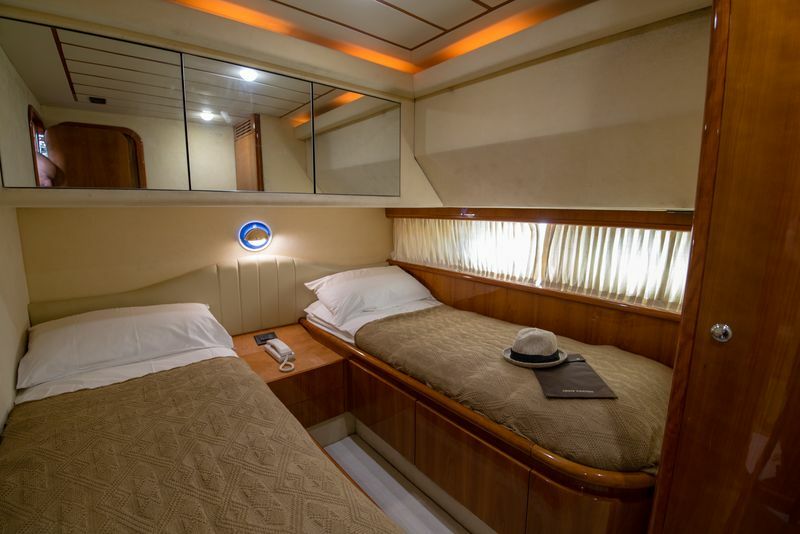 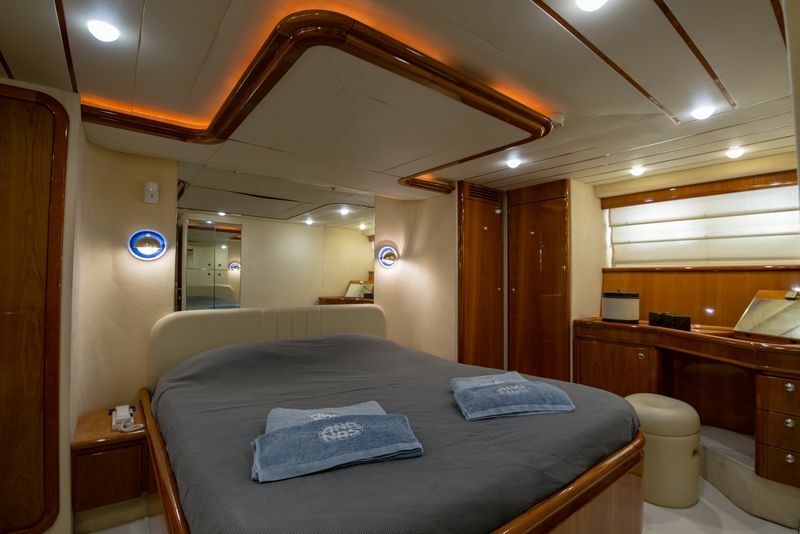 Accommodation is in 1 master stateroom amidships, a VIP cabin forward, and 2 twin cabins, on port and starboard, for a total of 8 charter guests.